Law is a tool that is used to maintain serenity of the society; therefore, legal provisions and application of law are based on these principles, i.e. 2. Holiness, adhering to jurisprudence, it must be accepted by people. Announcements or orders of the NCPO, believed by the NCPO as laws and being applied to people, actually contrast with jurisprudence and justice by nature and common sense of person of ordinary prudence. Some even violate the International Human Rights. 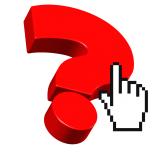 Executing article 44 of the constitution (interim) 2014 in many cases is apparent to people. When legislation of laws or any regulation is done without justice or common sense of person of ordinary prudence, that legislation of law or regulation will be lacking of holiness causing loss of faith and opposition from people whom that law is applied to. And this is danger to the national administration in ruling the country under the shade of peace. 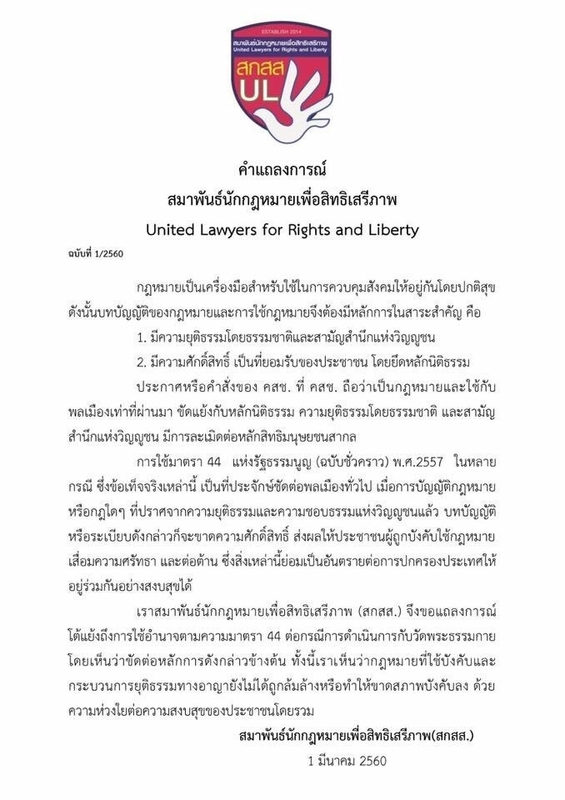 We, United Lawyers for Rights and Liberty, is giving this official statement to oppose the execution of article 44 towards WatPhraDhammakaya, and it is clearly seen that the execution contrasts with the aforementioned principles. About this, due to our concern about the serenity and peace of people as a whole, we see that active laws and the process of judgment under criminal law has neither been demolished nor lacking of sanctions.